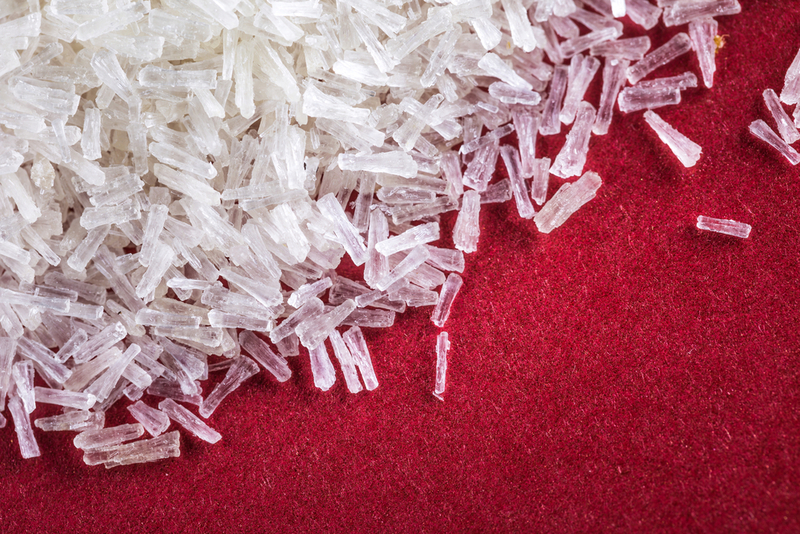 Monosodium glutamate has gotten a bad rap for causing allergies, but is it justified? Make your year-end gift today. Invest in quality science journalism by making a donation to Science Friday. Order from any number of Chinese takeout restaurants these days, and you might notice that many menus boast “NO ADDED MSG.” The label can also be found in supermarket aisles on snack foods or on packaged seasonings. The labels are meant to ease consumers’ worries, because MSG, which is used as a flavor enhancer, has for decades been popularly linked to various health problems, such as headaches and allergic reactions. It’s even been considered a factor in infantile obesity. Indeed, most scientists today agree that the notion that MSG causes sickness in humans is unfounded. Lee breaks down his reasoning: “MSG stands for monosodium glutamate. So sodium—everybody knows what that is—[is] the first ingredient in common table salt.” (Natural salt found in foods accounts for about 10 percent of a person’s total daily intake, according to the Food and Drug Administration.) Meanwhile, glutamate, the basic component of MSG, “is a synonym for glutamic acid [and] is a naturally occurring amino acid. It’s one of the building blocks of protein,” says Lee. In aqueous solutions, MSG breaks down to sodium and glutamate. Most living things on earth contain glutamate, says Lee, and it’s also in many foods, including tomatoes, walnuts, pecans, Parmesan cheese, peas, mushrooms, and soy sauce. An average adult consumes about 13 grams of glutamate each day from the protein in food, according to the FDA; added MSG contributes another 0.55 grams. Monosodium glutamate was discovered more than 100 years ago by a Japanese chemist named Kikunae Ikeda, who derived it from seaweed and discovered that it had unique flavor-enhancing properties. These days, MSG is made by fermenting starch, sugar beets, sugar cane, or molasses, according to the FDA. The additive’s negative reputation can be traced back to the 1960s, when The New England Journal of Medicine published a letter from a Maryland doctor named Robert Ho Man Kwok. Kwok wrote that he experienced symptoms similar to those of an allergic reaction every time he ate food from a Chinese restaurant, and he questioned the cause. Was it the wine he was drinking, the spices in the food, or the MSG? Kwok’s letter—which referred to the collection of symptoms as “Chinese Restaurant Syndrome,” or CRS—prompted people to write in to the journal with their own experiences feeling flushed or getting headaches after consuming Chinese food, according to Lee. On the heels of Kwok’s letter, a neuroscientist named John Olney published a study on MSG in Science. In his experiment, he injected the additive directly into white laboratory mice and found that the tests caused a number of neurological problems in his subjects, including brain lesions or impaired development. Taken together, Kwok’s letter and Olney’s study implicated MSG as the likely culprit behind CRS. In 1999, Katherine Woessner’s team conducted a single-blind, placebo-controlled study to test the effects of MSG on 100 asthmatic patients (an earlier paper suggested that asthmatics with a sensitivity to aspirin might be sensitive to MSG). The researchers found that, while 30 participants believed they had a history of CRS, only one showed signs of reduced lung function after exposure to MSG. When that subject was tested again—this time in a double-blind, placebo-controlled challenge—the test came out negative. The multiverse—the idea that infinite universes stretch beyond our own—has gained traction among physicists. But others think it’s just a multi-mess. Use these tips to have more productive conversations about climate change.